, a learned protestant divine, was born about the end of 1646, at Caen, in Normandy, where he was first educated. He afterwards went through a course of theological studies at Sedan. 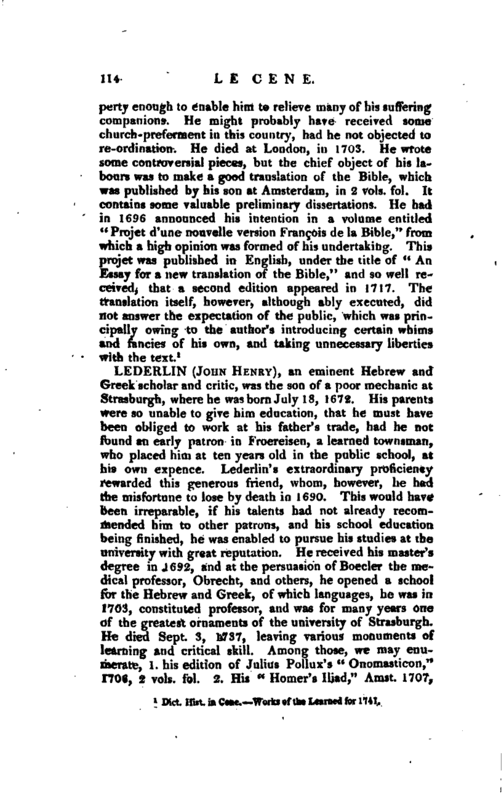 Returning thence in 1669, he was very honourably received by the learned of his native country, which he again left, in order to attend the lectures of the divinity-professors at Geneva. Here he remained until Nov. 1670, and after a residence of some time at Sanmur, came back in March 1672 to Caen, with the warmest recommendations from the various professors under whom he had studied. He then became pastor at Honfleur, where he married a lady of fortune, which joined to his own, enabled him to prosecute his studies without anxiety. 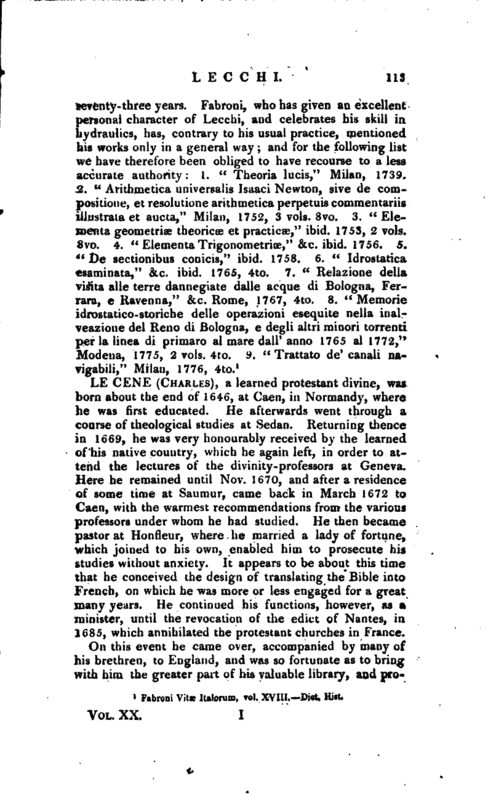 It appears to be about this time that he conceived the design of translating the Bible into French, on which he was more or less engaged for a great many years. He continued his functions, however, as a minister, until the revocation of the edict of Nantes, in 1685, which annihilated the protestant churches in France. Dict. Hist. in Cene.—Works of the Learned for 1741.